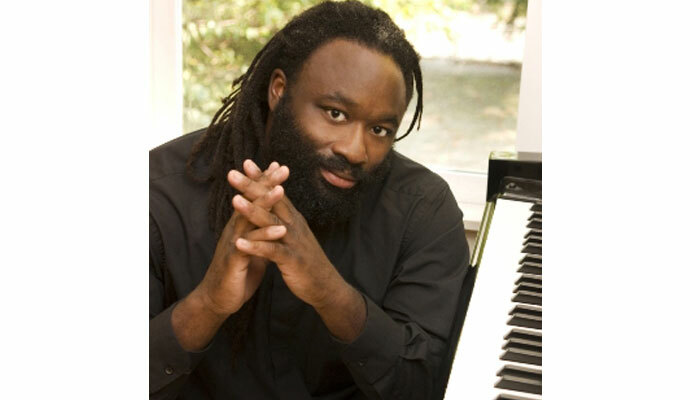 "GREENSBORO, NC – Prize-winning pianist Awadagin Pratt will perform Johannes’ Brahms’ Piano Concerto No. 1 on Saturday, July 2 at 8 p.m. in Guilford College’s Dana Auditorium. Pratt is one of many world-class musicians performing fan-favorite pieces during EMF’s 55th season. Two of Tchaikovsky’s most popular pieces, Symphony No. 5 in E Minor and the instantly recognizable Romeo and Juliet Fantasy-Overture, will bookend the evening. Friday night’s ‘Magic of Mozart’ Gala, also at 8 p.m. in Dana Auditorium, looks to be just as much of a crowd-pleaser. Maestro Gerard Schwarz will open the orchestral season with an all-Mozart program, starting with the famous overture from The Marriage of Figaro. ‘Viva Vivaldi,’ taking place on Wednesday July 6 at 8 p.m. at the First Presbyterian Church, will focus exclusively on another beloved composer, Antonio Vivaldi. Featured performers include EMF principal flutist Les Roettges and principal cellist Neal Cary. Vivaldi’s concertos spill into the Eastern Festival Orchestra’s fourth appearance on Saturday July 9 at 8 p.m., an evening which will showcase fresh talent performing classic repertoire. Marco Núñez, recent winner of the Rosen-Schaffel Competition for Young and Emerging Artists, features on Vivaldi’s Flute Concerto in G Minor, while Julian Schwarz, frequently praised as one of the leading cellists of his generation, will perform Dvořák’s Cello Concerto in B Minor, considered one of the greatest cello pieces of all time. Eastern Music Festival stands among the country's premier summer music educational programs and most imaginative performance festivals. With a 55-year history of both artistic and educational excellence, EMF attracts artists, students and audiences from around the globe to Greensboro each summer during its five-week festival. EMF’s 2016 performances began on Monday, June 27 and continues through Saturday, July 30. Concerts are presented at Guilford College, UNCG, High Point University, Appalachian State University and in venues throughout the community such as Temple Emanuel, Greensboro’s First Presbyterian Church and in public libraries. Over 65 performances, workshops, seminars and master classes will be presented.